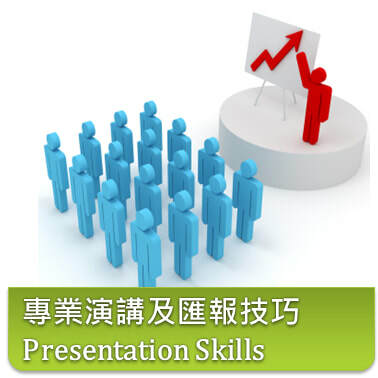 Enhances presentation & communication skills with different style in a very short time, increase attractiveness of contents through our tailor-made presentation training. Video recording, instant review & coaching are included in the training. Participants will be coached individually & instantly, on-the-spot guidance & video record review will be provided by our trainer in order to achieve the best result during presentation. How to match up both verbal & non-verbal communication to increase the attractiveness of your presentation?